May 01st 2012:Big Island Film Festival in Hawaii, Leo Sears, Smash Your Food App, New Film Pirates and More! Tune into this week’s episode of KIDS FIRST! 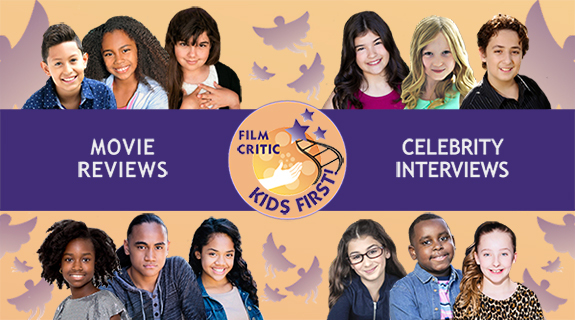 Coming Attractions as we visit with Leo Sears, Founder/Director of the Big Island Film Festival in Hawaii - a partner of KIDS FIRST! Film Festival. Learn about the cool new ipad app, Smash Your Food, winner of Michelle Obama’s Apps for Healthy Children. Listen to our reviews of the new feline film, Miss Minoes and Aardman Animation's new film, Pirates: Band of Misfits. Catch all this and more with your host Raven Devanney and critics Brianna Beaton, Anthony Aranda, and Camille Bajema.